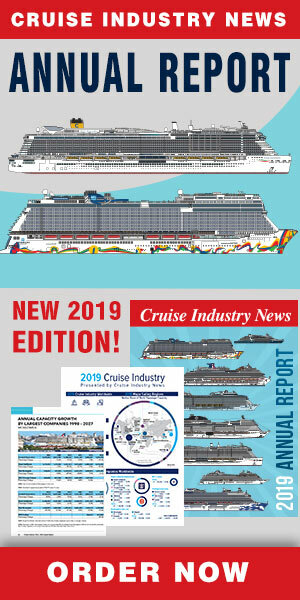 Speaking on Norwegian Cruise Line Holdings’ year-end and fourth quarter conference call, President and CEO Frank del Rio remained bullish on his company’s year-round China operation with the 2017-built Norwegian Joy. “Our team in China successfully launched a new brand with premium customized hardware and delivered a profitable venture in its first year of operation in a difficult operating environment, where the restrictions on travel to South Korea continue and the maturing and expansion of the distribution system is evolving slower than hoped,” said del Rio. Del Rio added that the Joy is fully chartered for the first half of 2018, and pricing for charters in the second half of the year is up year-over-year. When pressed by Wells Fargo Securities Analyst Tim Conder later on the call, del Rio reiterated the company’s strong position in the Chinese market despite local challenges. “There are still challenges in China. I don't think China is hitting on all cylinders like it can and still we remain committed. We remain optimistic that the areas of opportunity, the areas that we can improve upon will come to fruition. One of those is South Korea,” del Rio said. As for bringing more ships to China, del Rio said the company would consider it when taking into account all global regions. The Norwegian Encore, which debuts next year, has been moved to the Caribbean instead of China. “It's hard to pull a vessel when you only have 26 ships, like we do, into China,” he said .”We have many other either unserved or underserved markets that we would also consider in the mix, should ships become available to us. “We don't have a presence in the mid-Atlantic states. We're not in Baltimore. We're not in Charleston. We don't have a presence at all in the world's second largest port, which is Fort Lauderdale. We don't have a presence in the Gulf States of Texas or Alabama. We don't have a year-round presence in Tampa or New Orleans or in Los Angeles. We only have three ships in Alaska, which is a very high-yielding market. Some of our competitors have up to eight vessels.